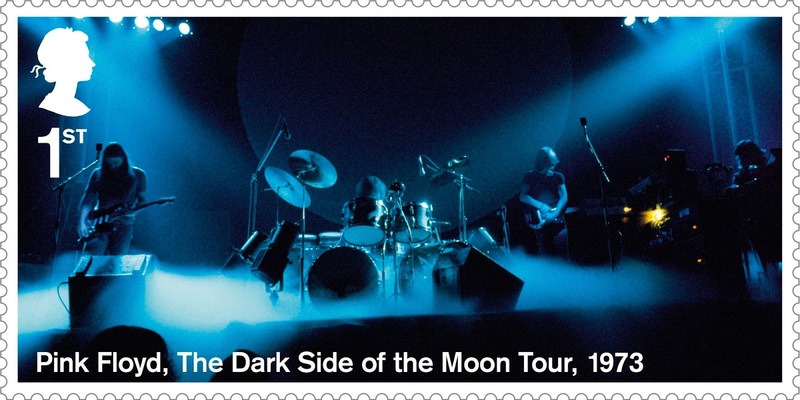 The Royal Mail is honoring the 50th anniversary of Pink Floyd with a set of 10 stamps in their native UK. Five decades since Pink Floyd became the ‘house band’ of the London Underground movement of music and arts, the Royal Mail has created the series to display six of their iconic album covers and four live performances. Pink Floyd were formed when the founding trio of bassist Roger Waters, drummer Nick Mason and keyboardist Rick Wright were augmented by original guitarist Syd Barrett. In 1968, guitarist David Gilmour joined the band shortly before Barrett’s departure. For 50 years, Royal Mail’s Special Stamp program has commemorated and celebrated events and anniversaries pertinent to UK heritage and life. Today, there are an estimated 2.5 million stamp collectors and gift givers in the UK and millions worldwide. Her Majesty the Queen approves all UK stamp designs before they are printed. The Royal Mail stamps are now available to pre-order at royalmail.com and will be officially issued on July 7. On June 3, Pink Floyd will launch a reissue campaign presenting their extensive catalogue on vinyl for the first time in more than two decades. 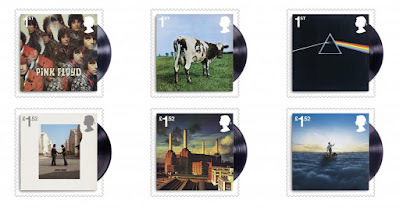 The group’s own Pink Floyd Records will reproduce the vinyl catalogue throughout the year with release dates being announced at regular intervals.